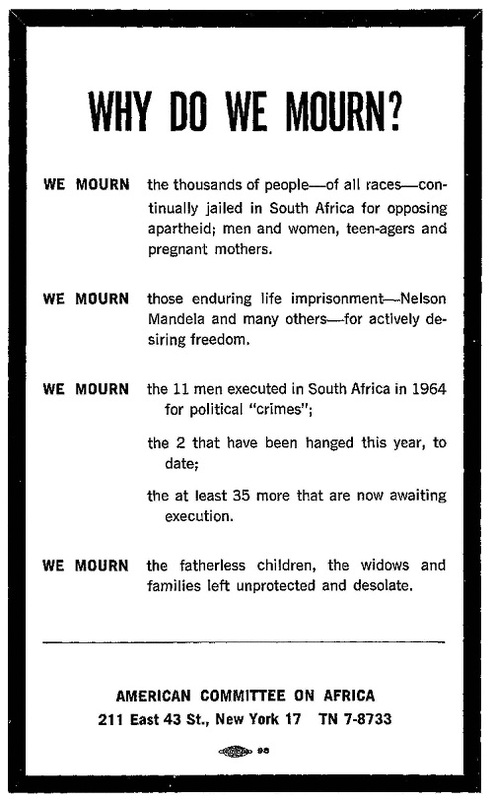 In the 1950s, several American civil rights groups developed a serious interest in anticolonial movements in Africa and the anti-apartheid struggle in South Africa. The pioneering group in this regard was the American Committee on Africa (ACOA). In 1953, the Reverend George Houser, executive director of the Congress of Racial Equality (CORE), along with Roger N. Baldwin of the ACLU, Bayard Rustin of the War Resisters League, and A. Philip Randolph of the Brotherhood of Sleeping Car Porters, founded the ACOA. 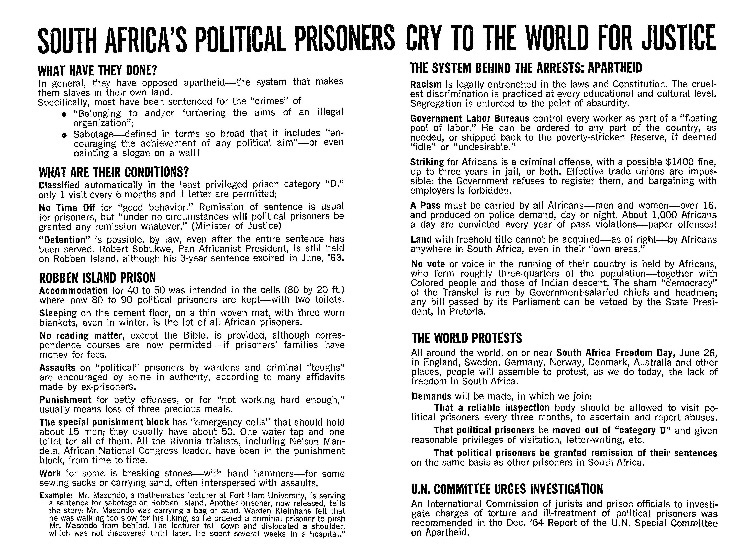 The ACOA placed the anti-apartheid struggle in South Africa at the top of its agenda, and it also supported anticolonial movements throughout Africa. ACOA initiatives included fundraising for liberation movements in southern Africa, traveling to Africa to meet with anticolonial leaders, hosting of African anticolonial leaders in the U.S., and publicizing the viewpoint of African movements in the United States. The publicity initiatives included press campaigns, commemorative events, and networking with a wide range of liberal organizations. 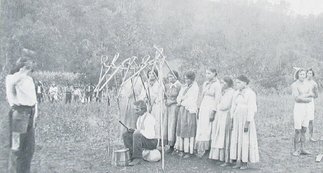 Key groups in the pro-African network that the ACOA worked to unite included Protestant and Catholic church groups, labor unions such as the United Auto Workers and Amalgamated Clothing Workers, and civil rights organizations such as the NAACP, CORE, and Student Nonviolent Coordinating Committee (SNCC). ProQuest History Vault includes the Records of the American Committee on Africa from 1952-1985. The records include internal ACOA documents like meeting minutes, as well documentation on its major initiatives and events in Africa. 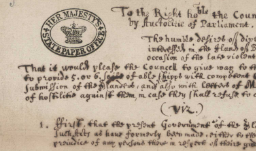 This pamphlet is just one example of the fascinating ACOA documents in History Vault. 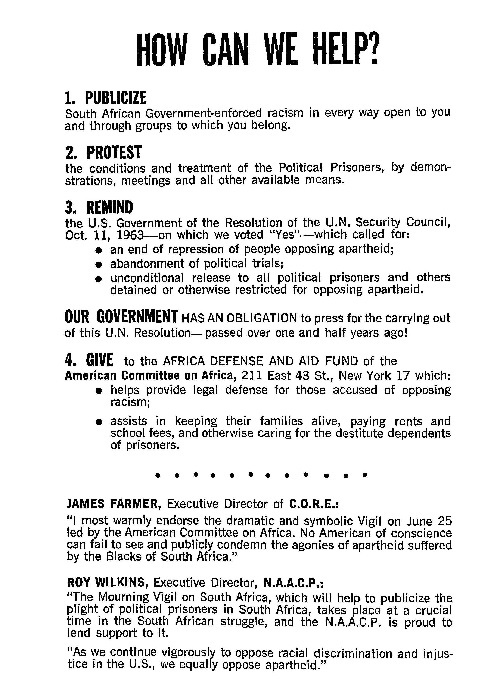 The NAACP Papers collection also contains documentation on the NAACP’s efforts to fight apartheid in South Africa. ProQuest Black Studies Center includes over 4,000 full-text journal articles on apartheid and Mandela’s role, from 1973-2013, and provided by African periodicals such as Botswana Notes and Records and African Business, as well as scholarly titles such as Journal of Social Development in Africa and The Journal of Pan African Studies. New content is added monthly. For more information on History Vault and other related ProQuest resources, see our Black history milestones timeline and sign up for free trials of ProQuest black studies databases.